Complex says: If the G-Shock brand has taught us anything it&apos;s that Casio knows how to build durable hardware. This waterproof and shock-resistant phone dons a hard plastic shell case and a durable QWERTY keyboard that could withstand the harshest wear-and-tear. 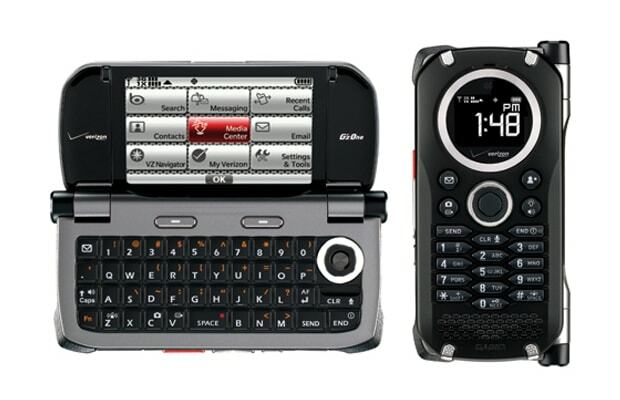 Integrated PTT technology lets owners use the handset as a walkie-talkie, plus the phone features instant messaging and e-mail access depending on your Verizon data plan. With battery life clocked at seven hours of talk time, the Brigade stands strong on the frontline of elite dumb phones.